At Jicaro Island Lodge, we’re a tight-knit team. A familia of just 32, headed up by our owner: Mama Karen as we like to call her. Over the past decade, Jicaro has become something of a second home for many of the team who’ve been here since day one. We hire all-local staff then make it our mission to inspire. And just like a family, there’s nothing better than to see our youngest members grow and develop. Meet Marcela. She’s our newly-appointed Sustainability Coordinator. And at Jicaro, that means she’s got a lot of responsibility on her shoulders. Responsibility to fulfil our Lodge’s every need as consciously, ethically and efficiently as possible. A strong bond with the local community to nurture, and a symbiosis with the natural surroundings to foster. Good news for Jicaro though: Marcela’s charisma and contagious positivity alone would be enough to fill the big boots she’s just inherited! But how did Marcela work her way up to the chief position of Sustainability Guru? Starting out on the Reservations team at just 23 years of age, she’s spent the last two and a half years chatting away with excited guests before their arrival and giving them their first taste of our warm, playful culture. 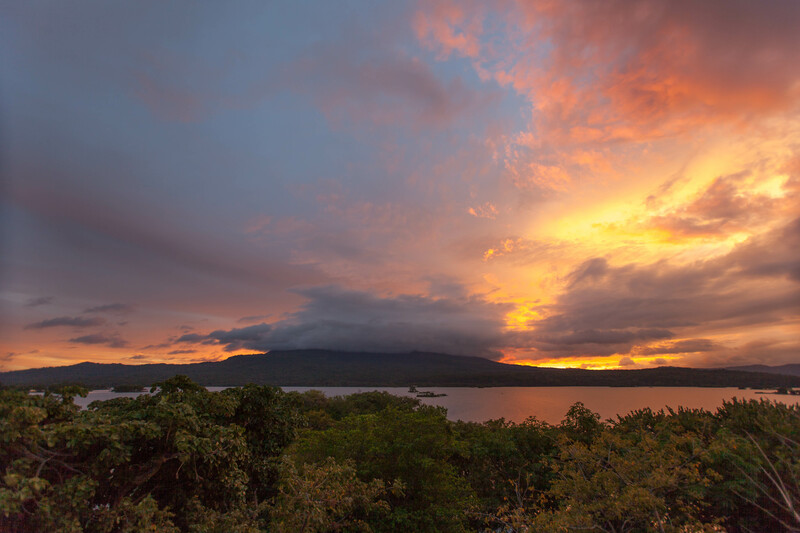 Her favorite Jicaro moments include pub quizzes with the guests and every single sunset from the island. And if you’ve ever wondered who the hilarious person behind Jicaro’s colorful Instagram is… it’s none other than Marcela. Bringing her personality to the posts, she now entertains over 2,000 followers. “I’m very excited about the new role,” says Marcela. “It’s really an honor to oversee our sustainability projects and to get some innovative new ones going. 2018 will be an ambitious year – the sustainability plan is looking enormous!” Marcela has already attended her first P3 People, Planet, Peace Conference and is getting creative for the year ahead. In the pipeline is a reforestation initiative for the Asese Peninsula as well as a fundraising quadrathlon involving guests and the local community. 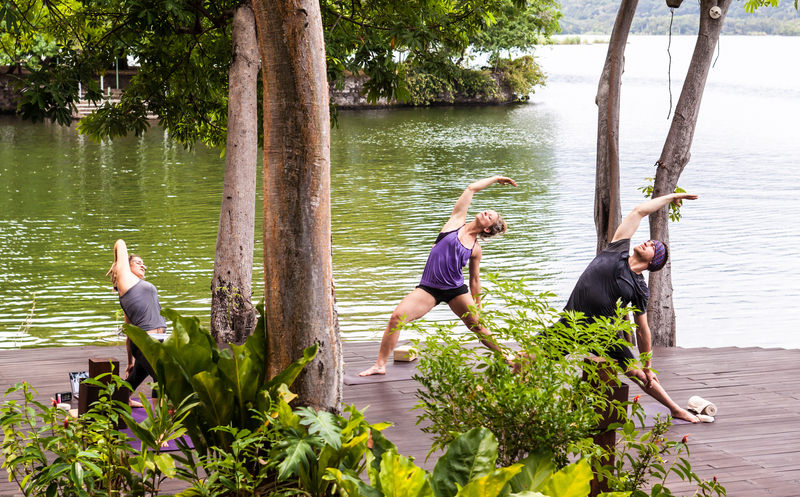 Marcela is also keen to create more wellness-focused guest experiences at Jicaro. “Sustainability involves an element of taking care of the environment but another side is taking care of ourselves too” she notes. Come 2018, guests can expect an even more relaxing, renewing experience at Jicaro Island Lodge. Say hello to Marcela and congratulate her on her new position over at Jicaro’s Instagram @jicaroisland. Scroll through the photos to meet the rest of the team too! This entry was posted in Jicaro Sustainability Initiatives, Jicaro Team and tagged Sustainability, wellness by Alison Cayuga Sustainable Hospitality. Bookmark the permalink. This was the best choice! 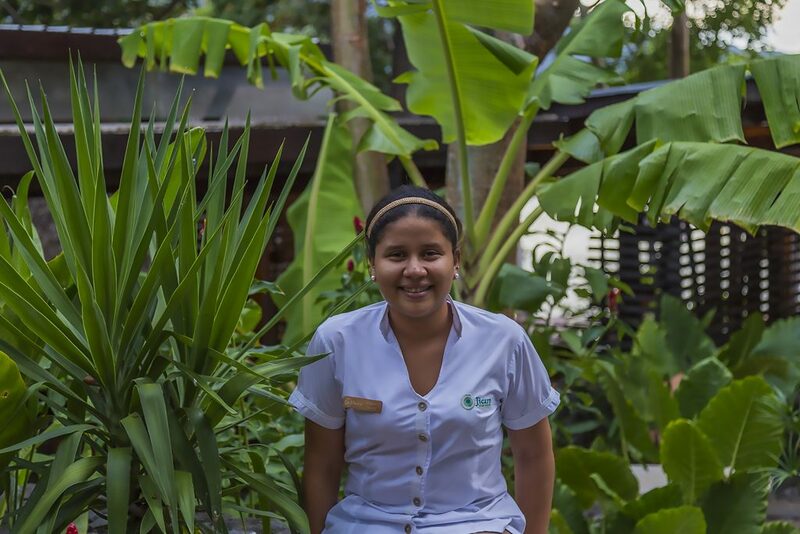 She is very personable and we very much enjoyed getting to know her on our visit to jicaro. We can’t wait to return and see Marcela in her new position. Jicaro would not be the same without her!